I have the perfect cubbies for this adorable bookcase dollhouse. The girls would love this. These pj's look so warm and cozy! These DIY princesses would be perfect for playing with inside the bookcase doll house above. 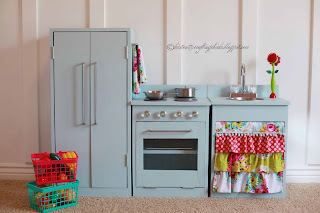 The girls would have a blast "cooking" in this fun DIY kitchen. maybe on a smaller scale though. And of course every chef needs their very own apron and chef hat. This crayon caddy would be perfect for keeping the girls entertained while we are away from home. 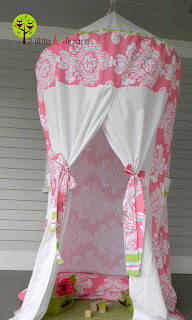 This play tent is so adorable and would be easy to to use indoors, outdoors, or pack away when not in use. What better way to keep those toes warm in the winter than a pair of colorful tights. Yes! Everyone needs a snuggie! I am loving the cubbie turned dollhouse idea!! I need to find something similar because my little girl would just love that :) Love you blog.....visit mine if you'd like!